Periodically, you’ll be able to take advantage of special offers on high-efficiency comfort systems offered by Schaffner's and Lennox. 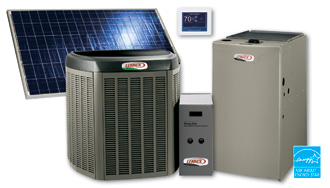 Our office staff would be happy to go over any Lennox Rebates with you. Let us help you save money and get you the comfort system that is comfortable for you and your family. Local utility at times offers specials and promotions for being more energy efficient. All of their incentives will be on your utilities company website.